Lo Bosworth and Lauren "LC" Conrad are seen here shopping together at Wholefoods Market in LA on February 26, 2010. Both are dressed in sweats and Lo carries her Balenciaga Classic City in 2010 Sahara. 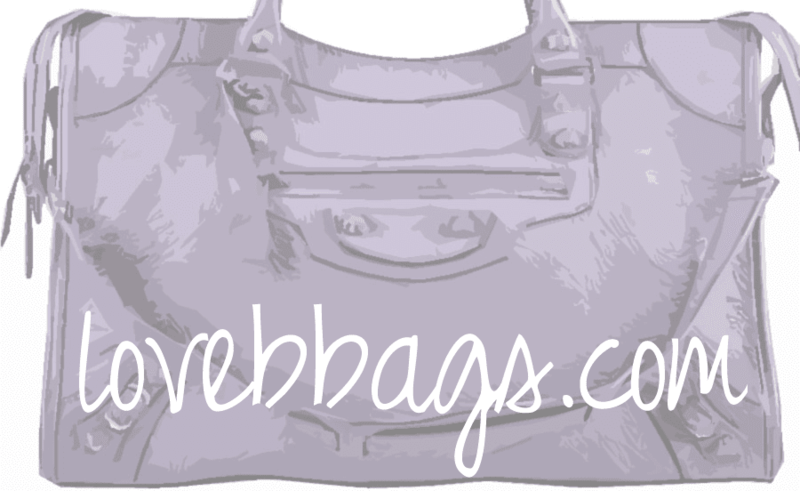 The city can still look good with lounge wear, and can make a great casual bag too. It looks like LC is carrying a black Chanel Flap. Nicole Richie arrives at London on February 25 to continue promoting her new apparel line, Winter Kate (named after daughter Harlow). She wears a very cute printed mini dress with bold, white sunglasses. It looks like she's carrying her black Balenciaga city (a little hard to see). Seems like her to go bag for this entire business trip! The sale started a couple of hours ago, but there are still some available that are temporarily in others' carts. So if you keep stalking and refreshing you might get lucky and be able to add one into your cart! They even have some styles in GGH, which comes as a complete surprise! The sale will end March 1. If you need an invite for membership click HERE. Italian actress Elenoire Casalegno posing here with her Balenciaga Outremer Work Bag on February 25, 2010. Outremer adds a very pretty pop of color against her black blazer and legging look. 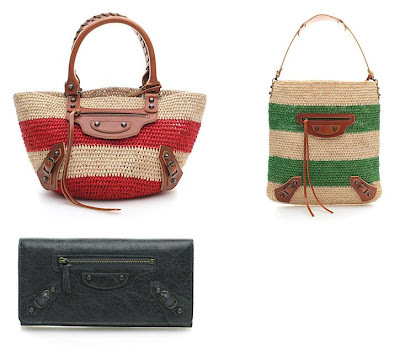 Aloha Rag has gotten in more Balenciaga new arrivals today. None of these new colors suit me since I'm not much of a yellow person. I like to eat Mustard, but not wear it, haha. Canard it too dark for me, almost black. 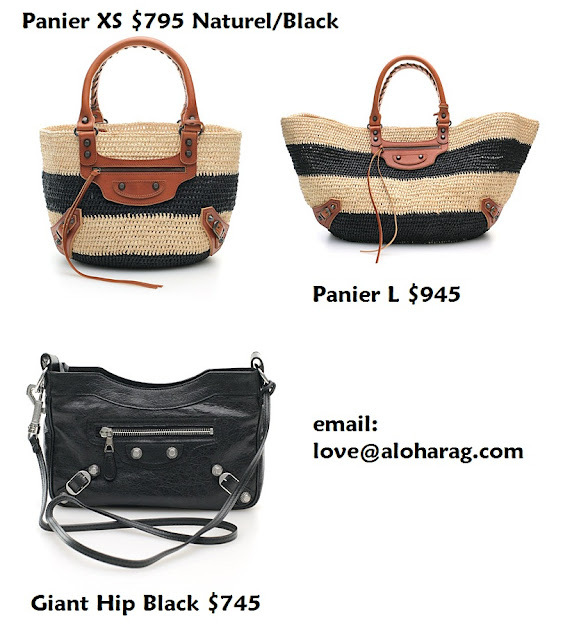 Email them at love@aloharag.com if you're interested in any of these particular styles. 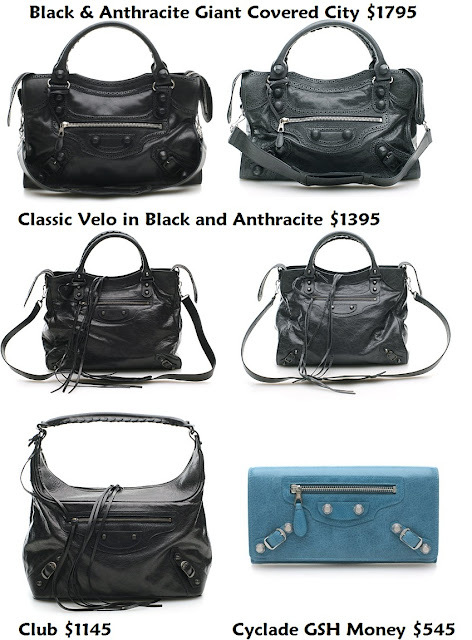 If I weren't broke, I would get the 07 Anthracite Flat Messenger!! I haven't purchased Juicy Couture Charms in a very long time, but I couldn't help myself when I saw these two. I try to cut back since they are not cheap, runs from about $40-60 each! I love to hang charms off my Balenciaga bags, so here to model the charms is my 07 Ivory Twiggy. I know I put it up for sale a while ago, but I took down the listing because I fell in love with it all over again. 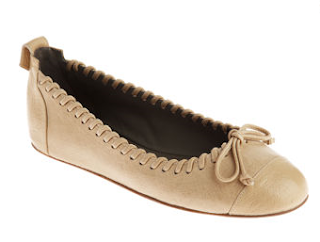 Ivory is an amazing neutral that really works with my wardrobe. Dakota Fanning celebrates her 16th birthday today! She has definitely grown up before our eyes. The young actress was spotted in Los Angeles with a cute tiara on her head, and torn leggings (seems like the trend at the moment). She is also carrying her well-worn Balenciaga Giant City Bag with Gold Hardware which gives her look a very rocker chic edge. Kourtney Kardashian and two month old son Mason attend a birthday party in the Jackson family compound. Her choice of baby bag/purse? Her Balenciaga Black Square Tote! 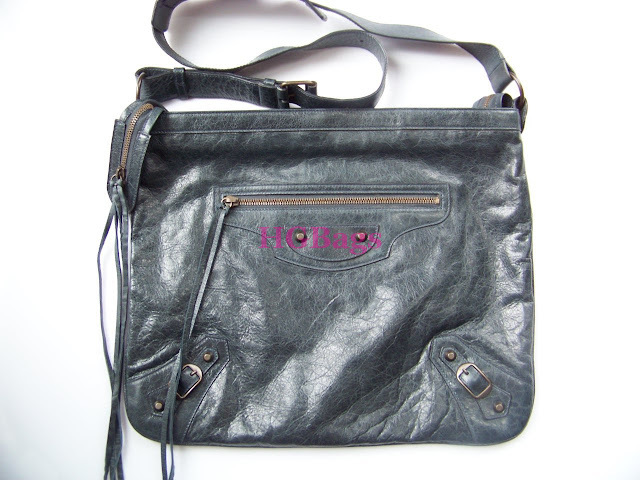 Instead of carrying a traditional diaper bag, she opts for this sleek over-sized bag that can be carried multiple ways. This bag matches beautifully with her outfit. Although our 30 day pledge has technically expired, we are renewing and extending our committment until the end of this month. Now you have an extra week for your purchase from RDC to have an impact in the lives of those in Haiti who have had to endure so much. Thank you for your generosity and support! 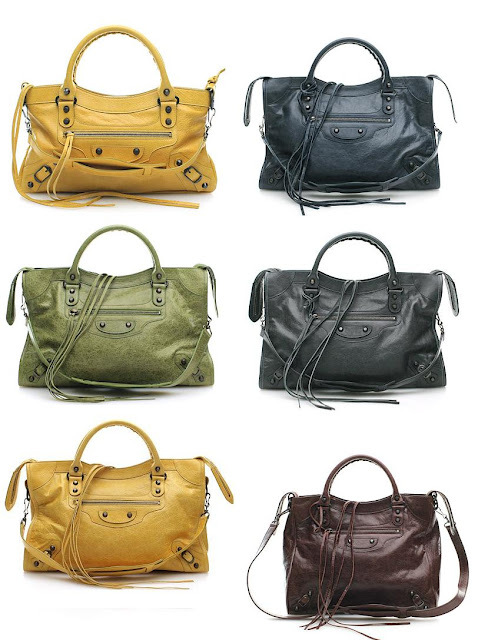 We have also recently updated our sale category with many fresh Balenciaga items now on sale for the first time and even deeper discounts on some items previously marked down. All sale prices shown here will expire at the end of this month. 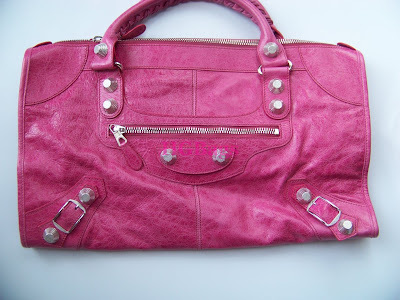 As always, we welcome your trade-in of Balenciaga Items in excellent or better condition for immediate credit towards the purchase of anything in our store. We also have a flexible layaway policy that can allow you up to 60 days to pay for your order. Mary-Kate and Ashley Olsen were spotted landing down at Heathrow airport in London on February 20, 2010. Mary-Kates choice of carry-on? Her Ponyhair weekender again! She is also pairing her bag with her very hot Balenciaga Harness booties. Sister Ashley uses an oversized Hermes bag! English singer Mollie King of The Saturdays wears her Balenciaga Galet Work Bag with Giant Gold Hardware. She is seen here on February 20, 2010 attending London's Fashion Week. Standing at 5"4" the Giant Work bag does not look humongous on her. 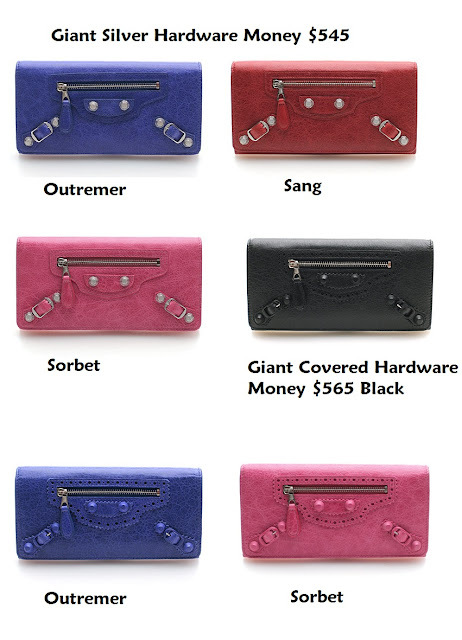 Galet is truly a beautiful color that was very popular amongst Balenciaga fans during the 2009 season. It is a lovely elephant gray color that is a great neutral color that is slightly reminiscent of 2006 Greige. Today, reps confirmed that the two got engaged over the weekend in Hawaii! Congrats to the happy couple! Everyone is getting engaged all of sudden. Dakota Fanning has been spotted twice in one day! This morning, she was seen in her sweats heading to the gym for yoga. The second picture is of her shopping with her mother in LA on Valentine's Day. I loved her in World of Wars, and Uptown Girls and I'm looking forward to her next projects. 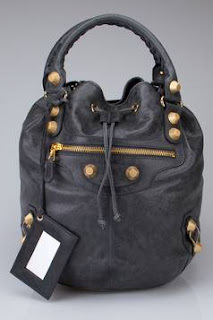 Her bag is definitely nicely worn in since there is color fading all over, and a very darkened handle. This is something I'd like to avoid with my Bals! As much as I love the vintage look, I love the "new bag" look more. I'm very careful with my bags, and always baby them as much as I can! Images via Fadedyouth, and Popsugar. The lovely Nicole Richie was spotted in snowy NYC attending Mercedes-Benz Fashion Week today February 16. She wears her Balenciaga Classic Black City, lovely floral dress, and red coat. I adore her hair, the braiding is so cute and chic.